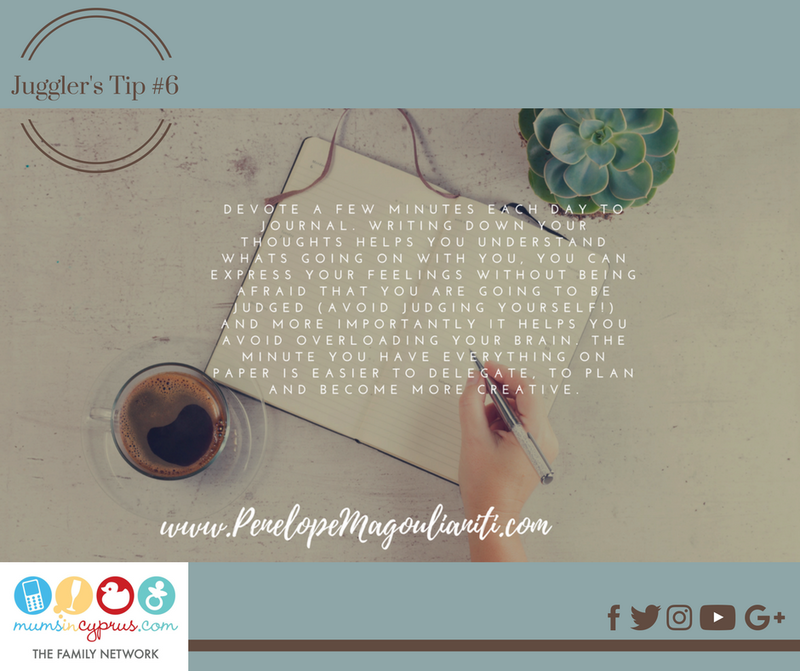 Juggler’s Task List: Tip #6: Devote a few minutes a day to a journal! Devote a few minutes each day to a journal. Writing down your thoughts helps you understand what’s going on with you. You can express your feelings without being afraid that you are going to be judged (avoid judging yourself!) and more importantly, it helps you avoid overloading your brain. The minute you have everything on paper, it is easier to delegate, to plan and to be more creative! Print out this Juggler’s Tip and paste it in to your diary as an inspirational and motivational reminder! 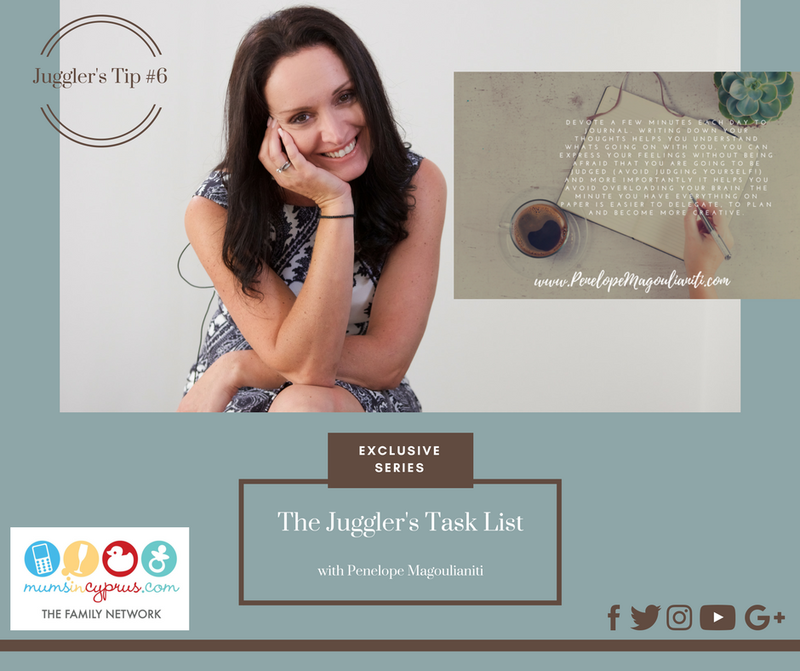 Make sure to check out the rest of our Juggler’s Task List series with Penelope here.